The new V2-r is the top-of-the-line carbon fibre monocoque frame from Colnago. Designed to ensure lightness, rigidity and aerodynamics, the result is a high-quality bicycle capable of handling all terrain. Based on the V1-r, but it boasts some details that dramatically improve its performance. 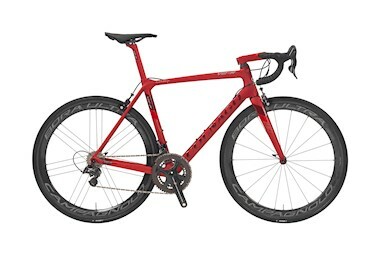 The weight remains unchanged from the V1-r at 835 grams for a medium sized frame and the same grade and construction of carbon fibre was also used. Lateral rigidity of the bottom-bracket has been increased by 13% and by 4% at the headtube – making the V2-r even more rigid and brilliant during acceleration.